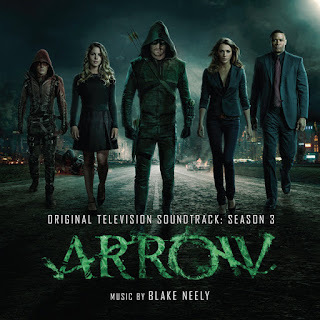 La-La Land Records is proud to announce the release of THE FLASH Season 1 - Original Television Soundtrack and ARROW Season 3 - Original Television Soundtrack. Both albums are 2-CD limited edition sets (3000 units) composed by Blake Neely (BLINDSPOT, SUPERGIRL). As a special bonus, both releases contain music from THE FLASH VS. ARROW crossover episodes, with Part One appearing on THE FLASH album and Part Two appearing on the ARROW recording. Both sets will be available exclusively at www.lalalandrecords.com on October 20th and major music retail outlets on October 27, 2015. 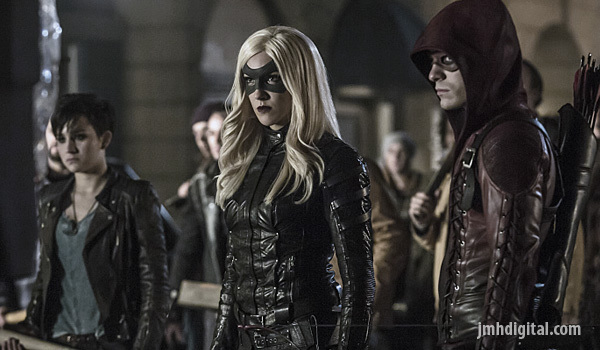 ARROW season three goes right back to the action. 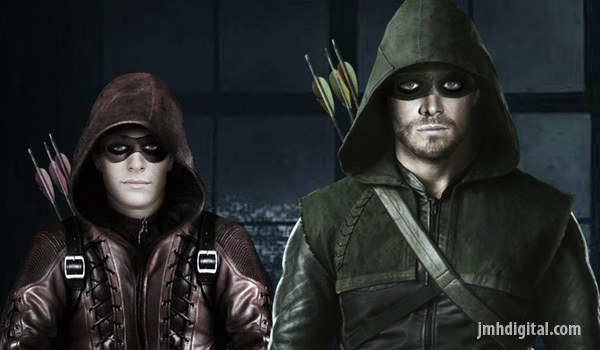 Determined to right the wrongs of Starling City and sworn to bring justice to those who have failed it, Oliver Queen (aka The Arrow) - with the help of his iron-fisted right hand, John Diggle, the tech-savvy Felicity Smoak and the newest member of the team, Roy Harper - narrowly defeats the vengeful Slade Wilson, his onetime ally and mentor on the island of Lian Yu. But like all wars, there are casualties. Sacrificing herself for her children, Moira Queen falls at the hand of Deathstroke, sending Oliver's sister, Thea, into self-imposed exile with her biological father, Malcolm Merlyn. In Season Three, Oliver faces an even greater threat, when another lethal face emerges from his dark and tortured past – Ra's Al Ghul! “Although I was warned, I had no idea how my life would change when Barry Allen bounced into a scene in Episode 208 of ARROW,” Neely explained. “Not only would this character send me in a new musical direction, but he would launch a new TV series that would connect me with thousands more die-hard fans on Twitter and millions more fans worldwide. 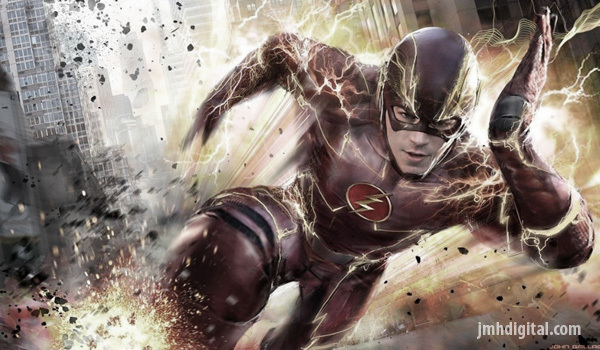 THE FLASH is a fast-paced super hero drama that follows the high-speed adventures of Central City Police scientist Barry Allen, an everyday guy with the heart of a hero and the genuine desire to help others. When an unexpected accident at the S.T.A.R. Labs Particle Accelerator facility strikes Barry, he finds himself suddenly charged with the incredible power to move at super speeds. While Barry has always been a hero in his soul, his newfound powers have finally given him the ability to act like one. With the help of the research team at S.T.A.R. Labs, Barry begins testing the limits of his evolving powers and using them to stop crime. With a winning personality and a smile on his face, Barry Allen - aka The Flash - is finally moving forward in life … very, very fast! Blake Neely is an award-winning composer, whose work spans both film and television. He is currently scoring SUPERGIRL, the CW’s ARROW and THE FLASH, and NBC’s BLINDSPOT His recent documentary work includes CNN’s highly acclaimed THE SIXTIES and THE SEVENTIES and HBO Documentary Film’s THE CASE AGAINST 8. Neely has scored more than twenty television series, including RESURRECTION, THE MENTALIST, BROTHERS & SISTERS, GOLDEN BOY, ELI STONE, and POLITICAL ANIMALS. Among his film credits are LIFE AS WE KNOW IT, THE GREAT BUCK HOWARD, THE WEDDING DATE, and SPACE SHUTTLE COLUMBIA: MISSION OF HOPE. He has received three Emmy® Award nominations for his scores to ABC’s PAN AM, the acclaimed HBO mini-series THE PACIFIC and for his main title theme for the series EVERWOOD. 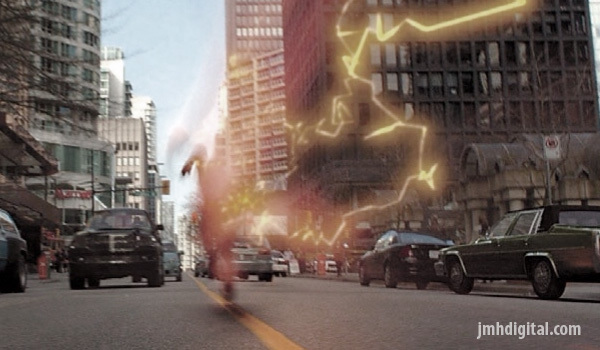 The second season of THE FLASH began airing on the CW Tuesday October 6, 2015 and the fourth season of ARROW began airing on the CW Wednesday October 7, 2015. 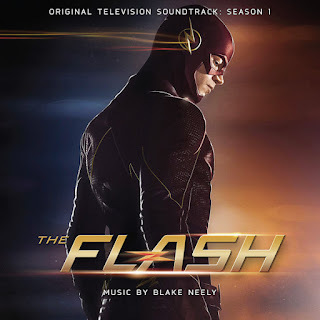 La-La Land Records presents THE FLASH Season 1 - Original Television Soundtrack and ARROW – Season 3 Original Television Soundtrack limited edition (3000 units) 2CD sets exclusively at www.lalalandrecords.com on October 20, and other major music retail outlets on October 27, 2015.